Definitely not the best natural deodorant I've used, but it works okay. I use it in addition to a deodorant stone, and together they last about 8 hours or so. Best deodorant on the market. It is because of my search for this very product, that I discovered well.ca. In the past, I have had so much trouble finding a good, effective deodorant and this product is exactly what I was looking for. I like that I can use it to freshen up, even if I haven't washed up. It is light and pleasant smelling and lasts all day...even holds up well on a hot summer day! Like the last guy said - it doesn't work at all! What a waste of money! This product doesn't work. I didn't like the smell. Doesn't work at all. Once it's applied it smells like you went to the gym for hours. Horrible smell once it's applied. Good product except you need to apply it more than once! I use about 6 strokes on each armpit and that seems to be enough product to last 48 hours! I LOOOOOVE this deoderant and canot believe how well it works! I was hopeful after reading the other reviews but unfortunately, this product didn't work for me. I LOVE this product. 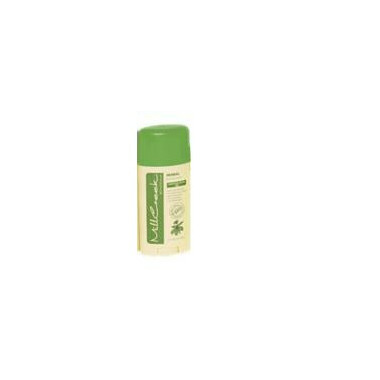 It is one of the best of the organic deodorants. It also smells nice - not perfumy or overpowering. Thank goodness for well.ca as I can't find this product in this city. I love this deoderant stick, so much so that I went through great effort to find it available for purchase online, since my local stores stopped carrying it. Thank goodness for Well.ca, they made me a very happy shopper, by having this product available and at a good price and no shipping, which is fantastic. I have been using Millcreek Botanicals Herbal deoderant for several years and I find it to be one of the most effective natural deoderants on the market...I could never survive without it. This is the best natural deodorant product I have ever found and used, it works great for all day protection...it is no longer available in my local stores, but thanks to well.ca, I can still get it! !